The Yamashina Institute of Ornithology in Abiko houses the largest collection of birds in Japan, with over 60,000 specimens, including the newly discovered Okinawan Rail Rallus okinawae, New Zealand Kakapo, and one of the world’s rarest species, the Short-tailed Albatross. The exchange with the Institute in Tokyo is part of a programme of work to develop a major exhibition at Te Papa on Albatross biology and conservation. The visit was hosted by Kiyoaki Ozaki, Chief Researcher of the Division of Avian Conservation and Deputy Director General of the Institute. In addition to collections of birds, the Institute conducts novel and highly effective bird conservation programmes. 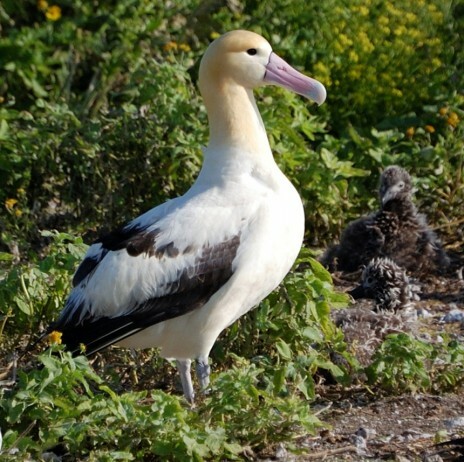 An example is the project to restore the Short-Tailed Albatross to non-threatened status, currently listed as Vulnerable by the IUCN. These birds were once one of the most common albatrosses but over the late 19th and early twentieth centuries many millions of birds were harvested to make feather bedding, with most of the feathers exported fromJapan. This industry supported hundreds of workers, with a village of 300 living on the main breeding site Torishima Island, an active volcano, 500km remote from the Japanese mainland. The species was thought to be extinct in 1949 but was rediscovered breeding in 1951 on Torishima, its sole breeding site. 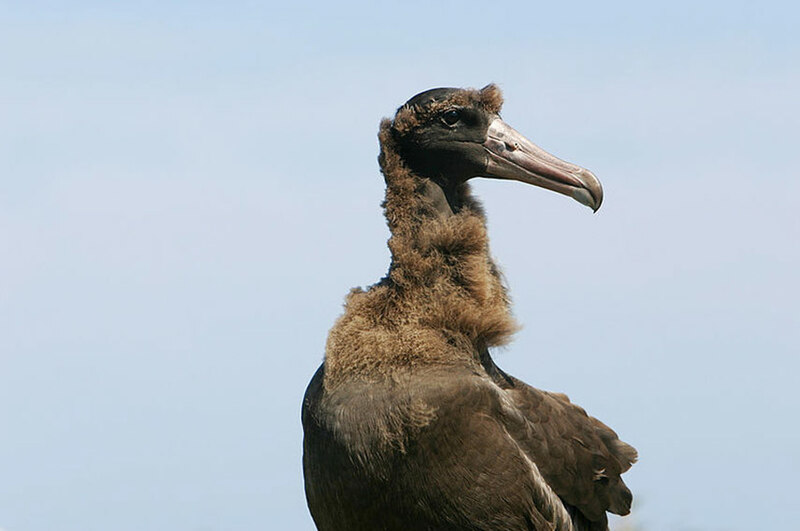 Since that time, efforts by many researchers have been deployed to safeguard the birds, which numbered only 6 birds in 1951. Methods were developed to attract birds to safer breeding sites, away from landslides and the potential of eruptions. Decoys and sound systems have been deployed, and a second breeding site on a more stable piece of land at Torishima has been established, with the numbers of breeding birds using this area steadily rising over the last few years. Almost all the birds in the breeding population are banded. The Short-tailed Albatrosses experienced rapid population growth at 6-8% per year in recent times, and now there are somewhere near 400 breeding pairs in the population. Yamashina Institute of Ornithology researchers transfer chicks to Mukojima Island, using specially constructed crates. Photo: Yamashina Institute of Ornithology. Further efforts have been made to transfer chicks from Torishima to a new site in the Ogasawara (Bonin) Islands at Mukojima Island, some 850 km from mainland Japan. Specialist equipment was developed to transport the chicks, to ensure they were not overheated, and stress was minimal on the birds. Short-tailed albatross juvenile translocated and photographed at Mukojima Island. 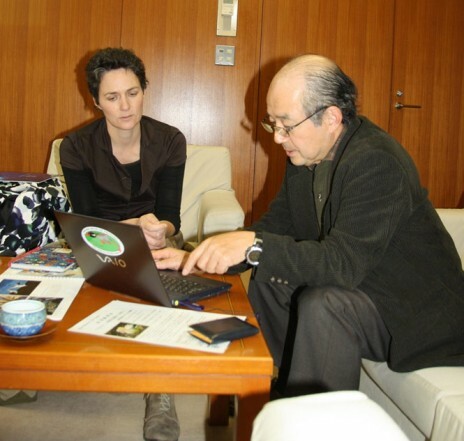 Previous experiments in the techniques had been trialled on the less-threatened Laysan and Black-footed albatrosses, with chick transfers being successfully conducted by the Yamashina Institute research team. Short-tailed Albatrosses from the transfers are starting to return to their adopted site, with around 50% of the chicks raised by hand, returning to Mukojima Islands. These birds are starting to take part in courtship displays, and it is hoped that they may start to breed in the next year.